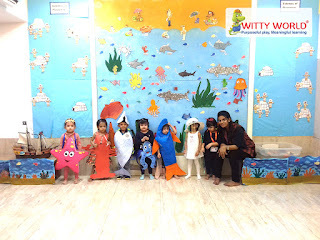 So many creatures swam past me! 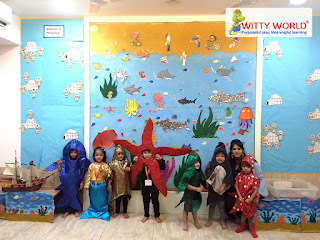 A father sea horse ,taking care of his young. 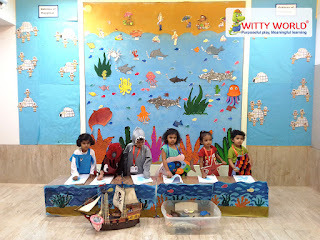 A humpback whale, a lovely song he sung. A wise old sea turtle had his head poked out. 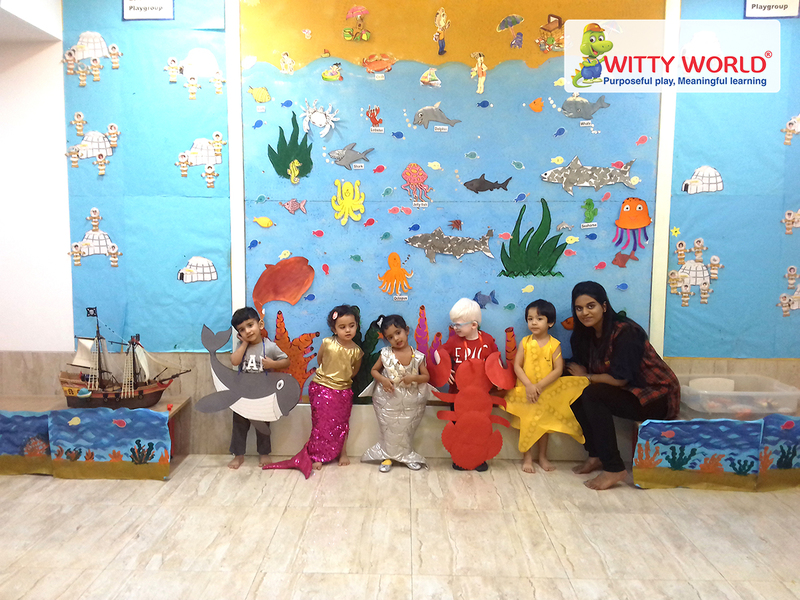 Then a shark came by with his teeth so white. 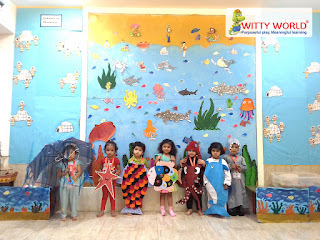 I swam so fast until he was out of sight! 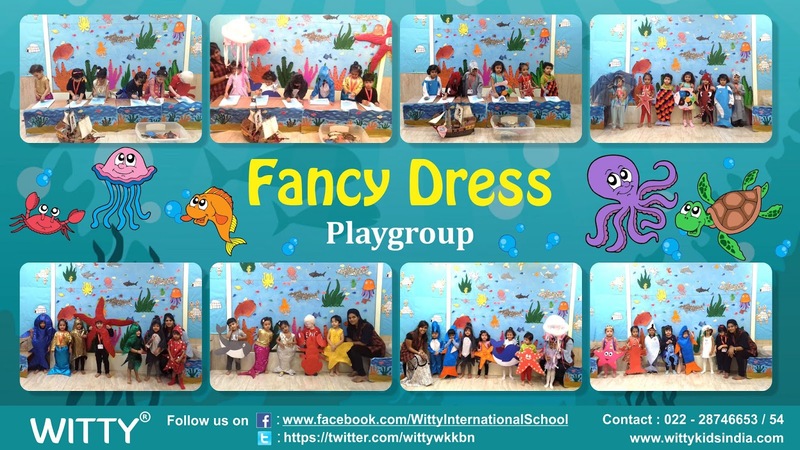 On Friday, 30th November, 2018 ‘The Sparkling Stars of Playgroup section’ participated in Fancy Dress activity. 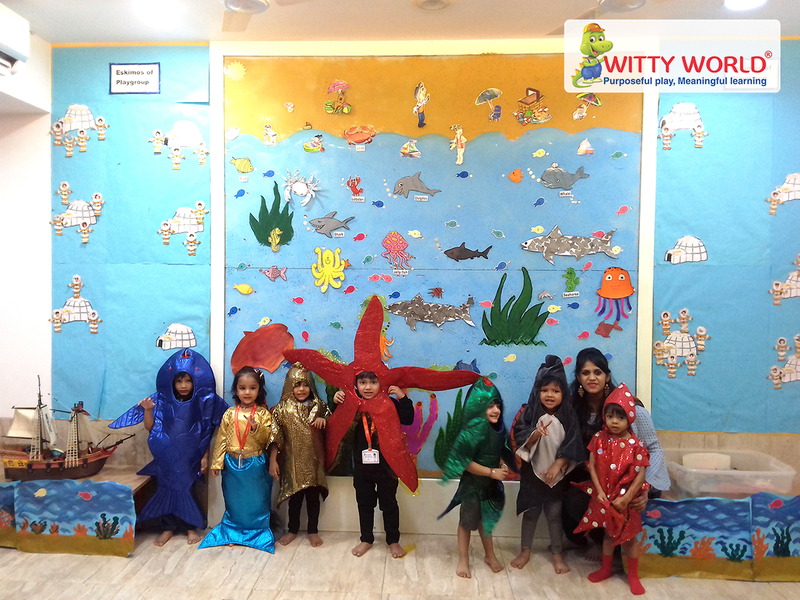 ‘Theme for Fancy Dress was ‘Marine Animals’. 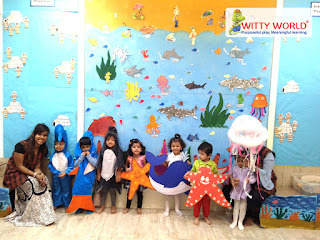 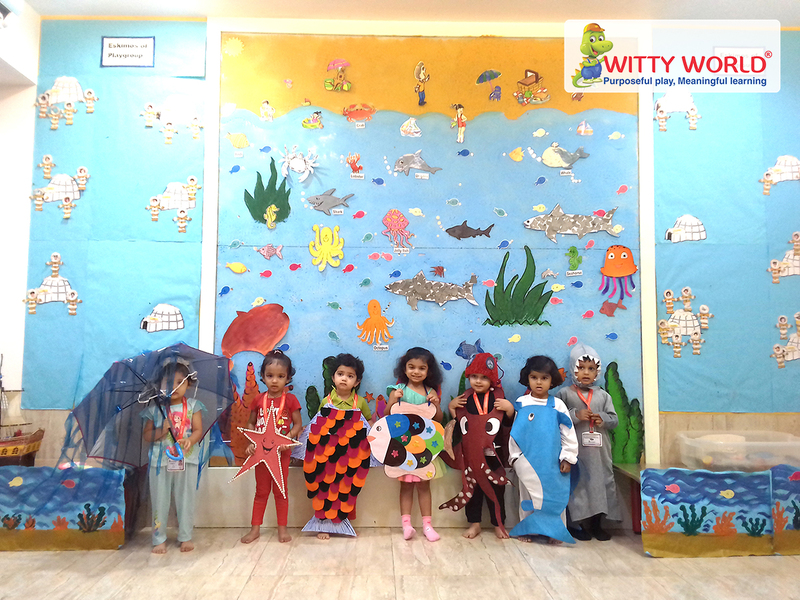 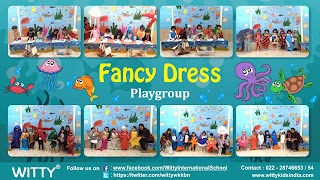 Little Wittians came dressed as Turtle, Fish, Penguin, Starfish, Dolphin, Whale, Shark, Jellyfish, Frog, Crab, Octopus ,Mermaid etc. 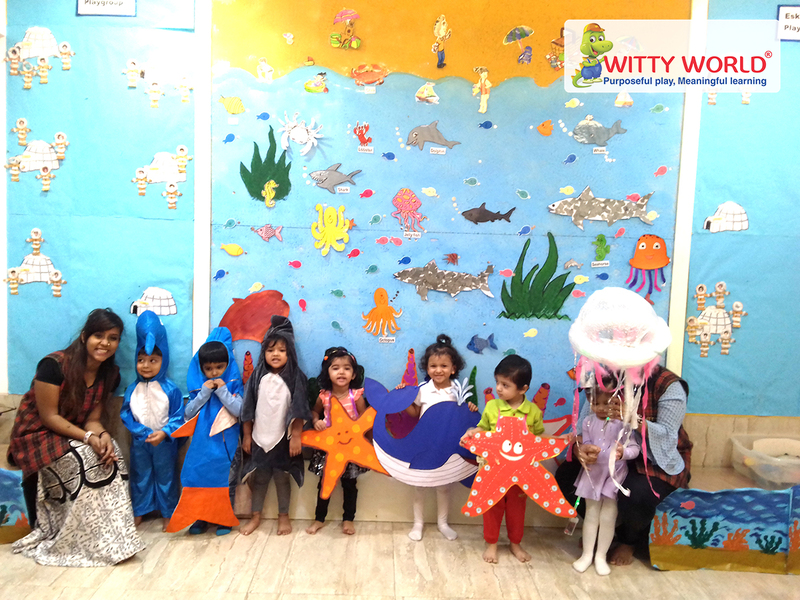 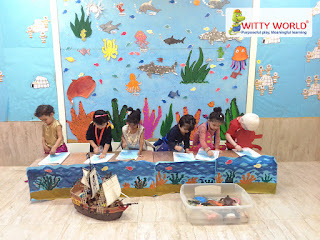 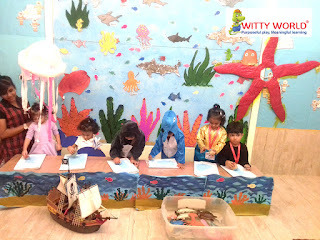 The teacher’s motivated children to speak few words about the marine animals they were dressed up in. 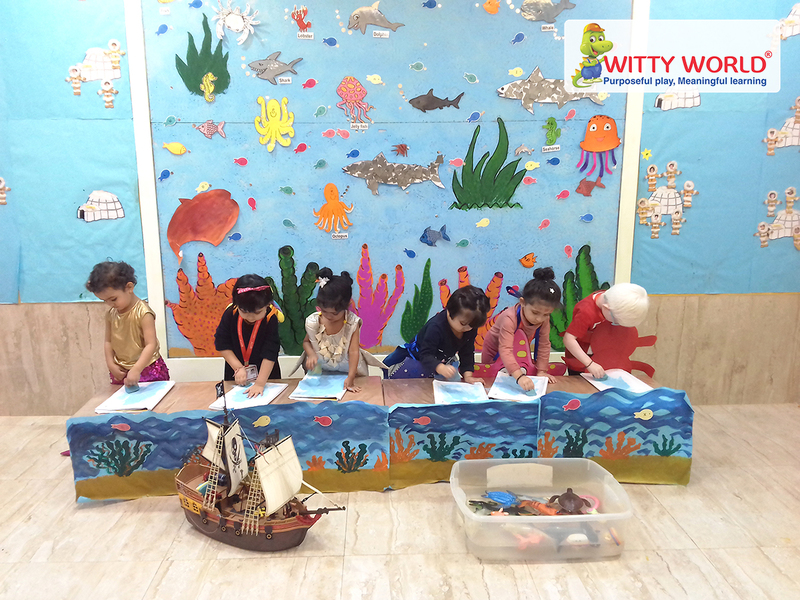 Children later enjoyed doing magic painting on their worksheet in witty’s concept book. 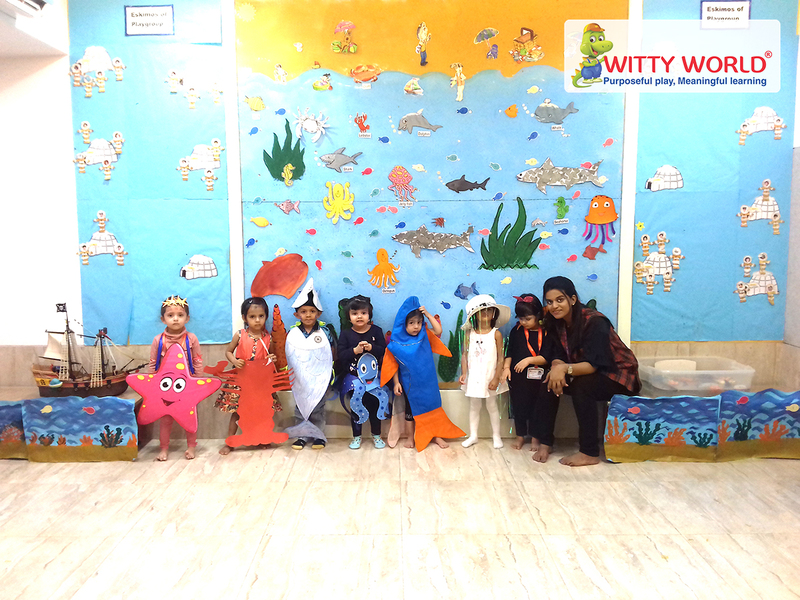 Indeed, ‘Fancy dress was a creative learning experience for the little tots’! !